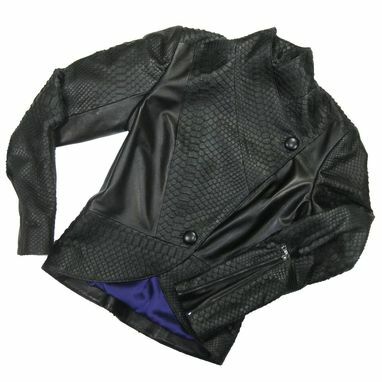 Matte Black python and black Italian lambskin. 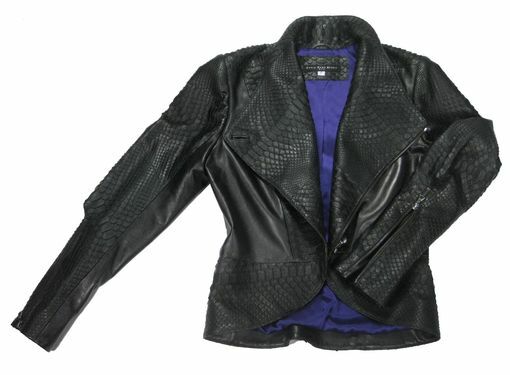 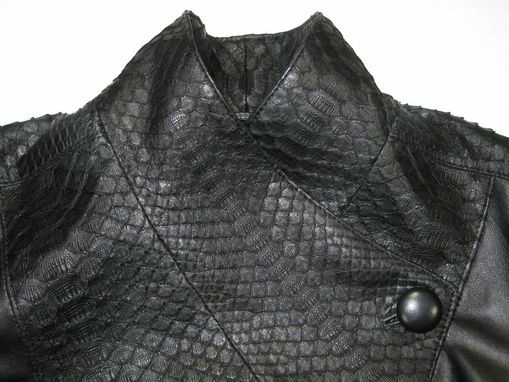 Jacket features a dramatic convertible collar with interior zip and shaped sleeves with zippers. 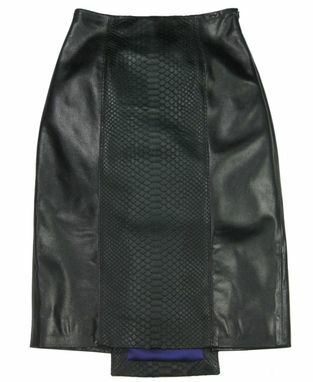 Skirt features an extended double vent back. 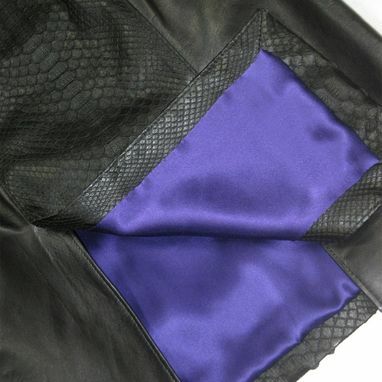 Lined in royal purple silk charmuse.